See what took place at the 2014 conference. Collaborating: Why Everyone's Doing it. Are you? Karen A. Myers, Ph.D., is associate professor and director of the Higher Education Administration graduate program at Saint Louis University and co-founder and director of the award-winning international disability education project Allies for Inclusion: The Ability Exhibit. This unique traveling exhibit is designed to promote the inslusion of people with disabilities by demonstrating respect for others, comfort during interactions, and awareness of disability issues. Using a multi-media approach, the exhibit offers suggestions for becoming disability allies and educators. 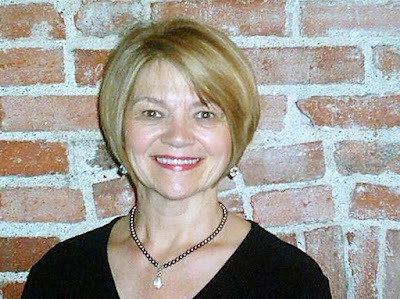 Myers has been a collegiate teacher and administrator since 1979, is a national disability consultant and trainer, has authored numerous publications, and continues to teach her self-designed graduate course, Disability in Higher Education and Society. 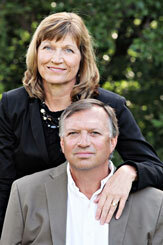 Dr. Curt Brungardt and Dr. Christie Brungardt are best known as social entrepreneurs who have worked tirelessly to address issues of injustice and inequality. Dr. Curt Brungardt is the Omer G. Voss Distinguished Professor of Leadership Studies and the Executive Director of the Center for Civic Leadership at Fort Hays State University. He specializes in political leadership, social justice, and community organizing. 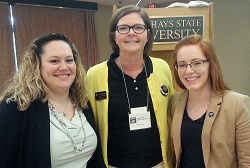 Dr. Christie Brungardt is an Assistant Professor of Leadership Studies and the Director of the Women's Leadership Project at Fort Hays State University. She specializes in civic leadership and women's studies. On July 3, 2008, Curt and Christie's lives changed forever, when their 25-year old daughter Jana, a student as the University of Kansas Law School, was murdered by her ex-boyfriend in Lawrence, KS. Since Jana's death, Curt and Christie have been active nationally in the effort to reduce gender-based violence. Their non-profit organization, Jana's Campaign, Inc. operates under the single purpose of reducing domestic and dating violence. They work extensively on college campuses around the country. The highlight of their campus work thus far was the opportunity to speak at Dartmouth Summit on Sexual Assualt in July 2014. The Ability Ally Initiative is a 90-minute specialized training designed to educate faculty, staff, and students on how they can be allies for disability inclusion. Participants will learn how to create environments inclusive for students with disabilities. The training includes a range of interactive activities to engage participants as well as discussions about disability-related topics including person-first language, universal design and the disability of movement. Upon completion of the training, participants can choose to display an Ability Ally placard at their workspace or wear a wristband identifying as an Ability Ally. All current members of KAAN are eligible to run for office. Officers will be elected at the annual meeting by a majority vote of members present. Note: each steering committee member may serve no more than two elected consecutive terms in any capacity. No member may hold more than one seat on the steering committee at one time. Please see the KAAN steering committee page for descriptions of each position. Questions regarding leadership opportunities within KAAN should be directed to the past chair who serves as the chair of the nominations and elections committees.